Your better starts here. 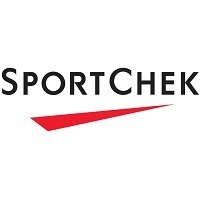 Up your game at Sport Chek, Canada's biggest retailer of sporting apparel and equipment. From running shoes to hiking boots, we supply bicycle riders, snowboarders, football players, hockey players, soccer fanatics, and so much more. We have all the top brands in sports gear and clothing for all your favourite activities. Visit us today at CF Lime Ridge in Hamilton.